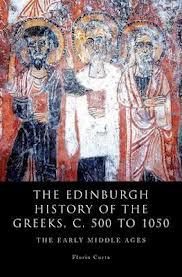 This book is part of the ten-volume Edinburgh History of the Greeks. In his contribution, Curta discusses the history of the territory corresponding to modern Greece from the sixth to eleventh centuries, when the region experienced the disappearance of the Roman rule, the formation of barbarian polities, and the gradual reintegration into the Byzantine Empire. A monograph on the subject has long been awaited. Reflections on Dark Age Greece were mostly confined to the handbooks of Byzantine history or specific literature dating back a few decades. The reason for this gap lies in the complexity of the subject and its significance for historians writing on it. The questions of continuity, the role of the barbarians and the so-called 'slavicisation' of Greece played a crucial role in the national discourse of the last 150 years as they still do today. Curta is well aware of the many pit-falls the historian may meet with while discussing the people of Dark Age Greece. Therefore identities and ethnicity are, on this occasion, not the first concern of the author. The aim of Curta is, instead, to reconstruct the structures of early Medieval Greece in order to investigate social changes and superstructures such as institutions and religion. Thus, he builds on previous reflections on Slavic ethnicity as a construct of the Byzantine authorities, the nature of Greece's barbarians, and on his interpretation of burial goods and coin-hoards. The result is a highly informative collection of both archaeological and literary data. Curta presents the reader with detailed descriptions of fortified sites, lavish grave burials and coin hoards together with literary evidence. All is framed in the wider contexts of Europe and the Mediterranean. In order to manage this spectrum, Curta introduced a double system of references. Citations are made according to the Harvard referencing system while notes at the end of every chapter offer additional bibliography and further information. 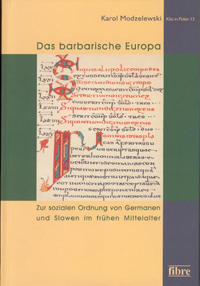 The book is divided into ten chapters opening with a historiographical introduction that discusses the significance of the early Middle Ages in Greek national discourse. Chapters are arranged by centuries, but the author dedicates single sections to economy, society, and the role of the Church. The arrangement of the volume is strongly influenced by the nature of evidence Curta may access. After the middle of the seventh century literary data becomes practically nonexistent. Hence Curta relies on his proficiency on archaeology and numismatics in order to reconstruct the life of Dark Age Greece. 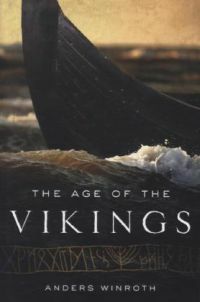 On the other hand, from the ninth century on, literary evidence significantly increases, allowing the historian to develop a histoire événementielle. The result of Curta's concern with chronology in order to grasp change is remarkable. He is able to trace a comprehensive picture of the transformations taking place in centuries barely illuminated by literary evidence. Curta maintains that sixth century Greece experienced the last period of flourishing Late Roman civilization. War was far away and economy produced a surplus. An imperial aristocracy was still populating the towns and estates of the region. In the aftermath of the imperial army's withdrawal in Heraclius' years (around 620), Greece entered a long period of political instability and demographic as well as economic decline. The region moreover experienced different developments. Territories of inland and western Greece saw regionalization, enfeeblement of the ties with the centers, both political and ecclesiastic, and eventually the formations of barbarian polities. This however was not a reflection of the Slavic settlement of Greece, as proposed by older historiography, but rather a change of self-representation of the local elites, perhaps as a reaction to conflict. Curta points out the analogies between the finds from the cremation cemetery of Olympia (in the last years discussed by Tivadar Vida and Thomas Völling) and the artefacts found in the burials of the steppe regions north of the Black Sea. 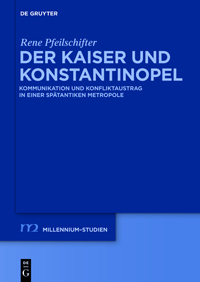 At the same time he highlights the differences with the regions of the Lower Danube, where between the sixth and seventh centuries Byzantine authors originally placed the Sclavenes. Similar discrepancies are stressed between pottery-finds in i.e. Argos and the 'Slavic ware' of the Prague type. Thanks to his impressive knowledge of inhumations Curta depicts a huge cultural space stretching from the Mediterranean to the Baltic regions, Ukraine and the Caucasus. Associating this long survey of finds with descriptions like the one of the Miracula s. Demetrii, where the barbarians of Greece are for the first time called according to tribal names (i.e. Rynchines, Drugubites), Curta enforces his idea of the name 'Sclavenes' as a label used by the Byzantines in order to describe the Danube Barbarians. The Aegean shores around Athens and Thessalonica, where the empire established strongholds and trade-ports, maintained an urban character although the occupation often shrank to a fortified acropolis. Fundamental, in this respect, was the role of the army. Reflecting on the coin-hoards of sixth and seventh century Greece, Curta dismisses the traditional argumentation which saw the hoards as the product of fear and violence as proposed by i.e. D. Michael Metcalf. Instead he links the new injection of currency to the presence of the army and the still functioning distribution of richness and wealth to the soldiers. In these years the army was perhaps engaged in the extensive military operation described in the Miracula s. Demetrii. The withdrawal of the army corresponded with the end of these deposits. Renewed injections of currency are dated to the reigns of Constans II and Philippicus. In the 680s the imperial presence in the region was strengthened thanks to the foundation of the theme of Hellas. The final outcome of soldiers' activities and conflict in the region was the recovery of prosperity, eventually visible in the growing building works from the last decades of the eighth century-on. Beginning with the ninth century Curta is able to rely on rich literary evidence. The many battles narrated by Theophanes and Leo the Deacon are linked to the expansion and enrichment of Byzantine Greece. 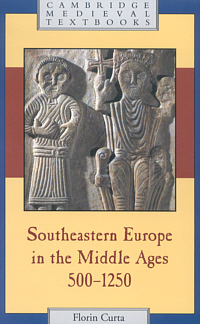 In Curta's reading the society of high medieval Greece was built around the army. The cornerstone of this interpretation is discontinuity. 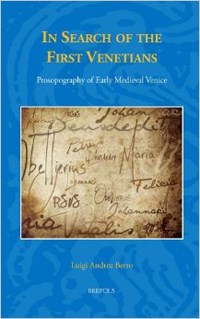 The Late Roman aristocracy is, in the author's view, not continuous with early medieval elites (231). The new elites of Greece followed the Byzantine army. That is fascinating, also because in other regions of the Mediterranean, like in the early medieval Adriatic arc, imperial military imagery was not necessary a reflection of an actual presence of the empire and the army. Due to his striking knowledge of numismatic evidence, sigillography, funerary archaeology and Quellenkritik, Curta is very generous with his reader, but he also demands a lot. The long and detailed descriptions of buckles and other finds may challenge the reader less acquainted with archaeology. Moreover, some sources like the Miracula s. Demetrii (introduced at 16), the Synekdemos of Hierocles (at 48) or the Chronicle of Monemvasia (at 109, but later discussed at 253-255), stranger than others to medieval historians and archaeologists, may have benefited from an introduction. These, however, are only minor critical remarks. The significance of this book will be evident. To the attentive reader the work will be an invaluable tool for further researches.